What Kart Do I Have? We’ve been producing racing karts here at Margay since 1968. Over those years we’ve produced upwards of 20,000 karts across more than 100 models and variations. With that many karts and that many models out there, we receive inquiries everyday from customers who want to know ‘What do I have?’ There are two ways we can help you identify your Margay kart; by serial number or visually through photos. 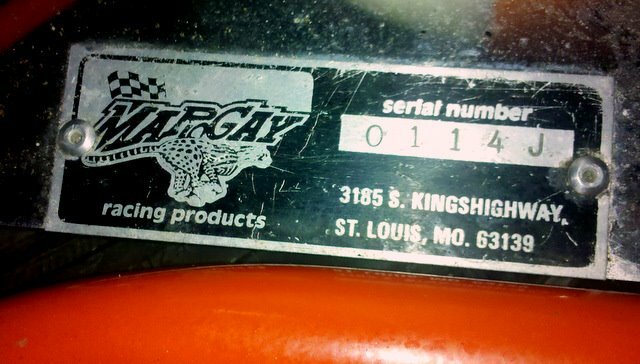 Serial numbers were not utilized on Margay karts until the late 1970’s. While records from 1978 through 1982 are incomplete, from 1982 forward we have good records on virtually all serial numbers. -Many Panther X model karts had a serial number stamped on the front side of the seat mount tab that featured 5 holes. These numbers were typically four digits and may have been preceded by a letter. Our records are incomplete on these karts so positive identification may require the submission of photos. -Some models in the late 1970’s and early 1980’s featured a serial number tag that was pop-rivited to the rear of the floor pan. These models were typically the Pro-X and AmPac karts. -1997-2000 model Brava karts featured a serial number tag welded to the back of the rear seat crossmember. That tag indicated serial number as well as model number. 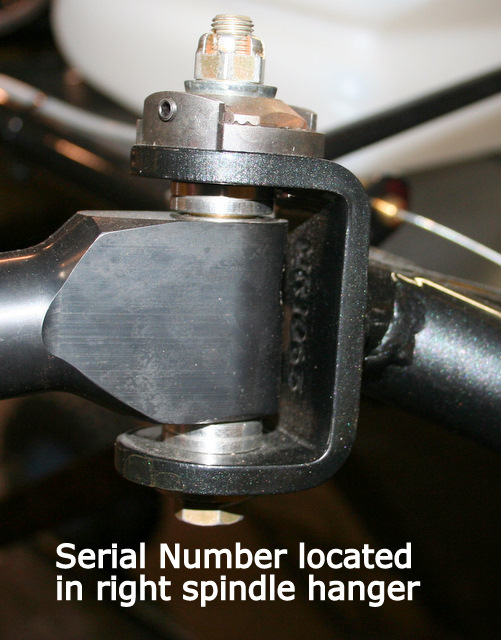 -The majority of karts produced in 1982 and beyond feature a serial number stamped into the right spindle hanger. This number is typically four to six digits and may start with a letter. Examples would be 90425, B90125 or 87542. If you have located the serial number on your kart and would like us to identify the model for you, use the submission form below. In cases where a serial number cannot be located it is necessary to identify the kart through photos. You can also look at brochures of past models in our vintage section here. Click here for samples of photos that are helpful in identifying a kart. Please submit the photos of the kart you would like identified using the form below. Please keep in mind that just because a kart may have Margay components or decals on it, that does not positively identify it as a Margay kart.